Table of contents dividers each have two columns, providing more printing space for larger or more text. Two layers of tabs are easier to see and turn. Bottom layer of tabs extends further than top layer to allow you to see all tabs at once. Double-sided hole reinforcement prevents tearing from binder rings. Added tab reinforcement prevents tabs from tearing. 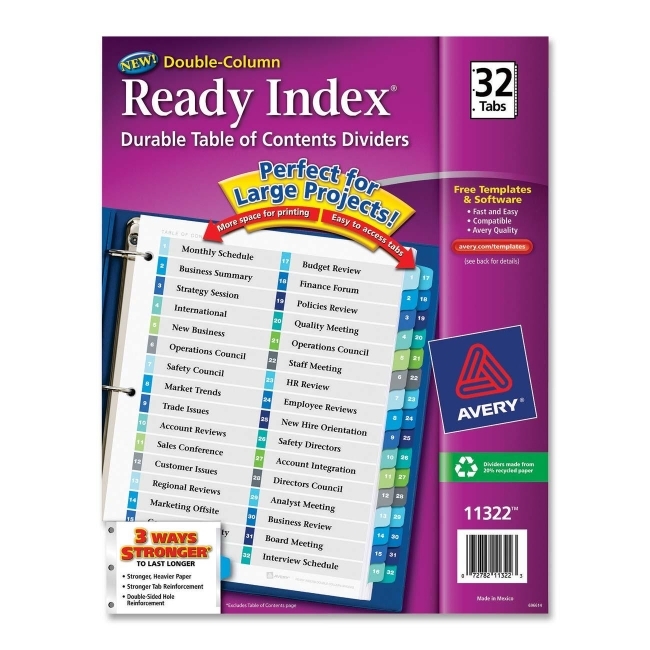 Heavier paper for both Table of Contents and tab dividers offer durability. 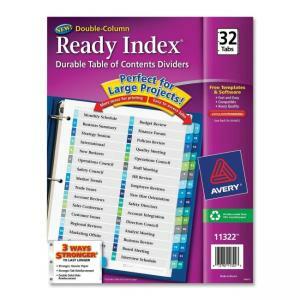 Format Table of Contents with Microsoft Word templates. Paper contains 30 percent post-consumer material.